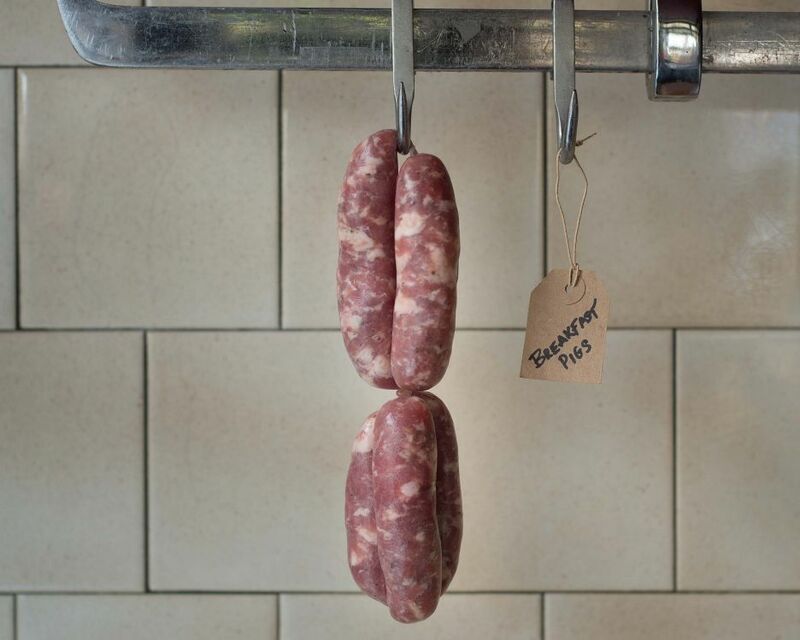 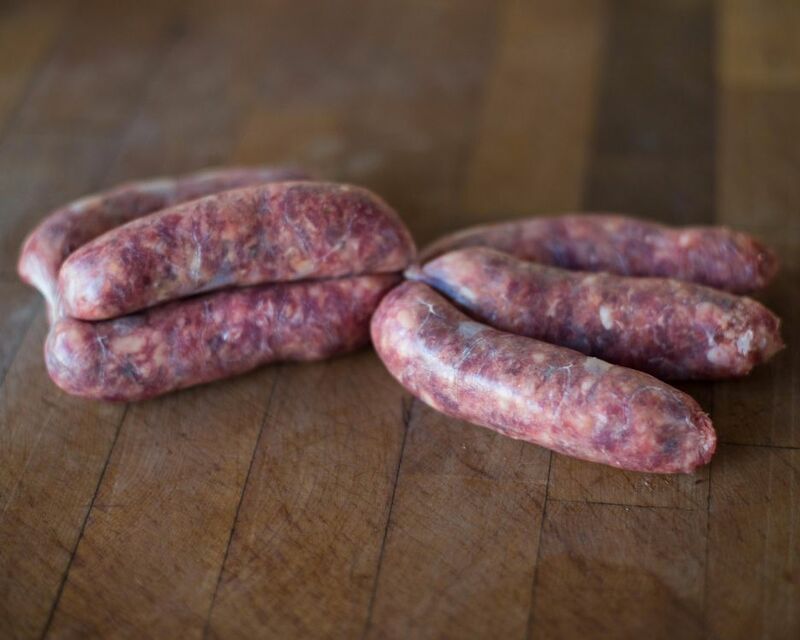 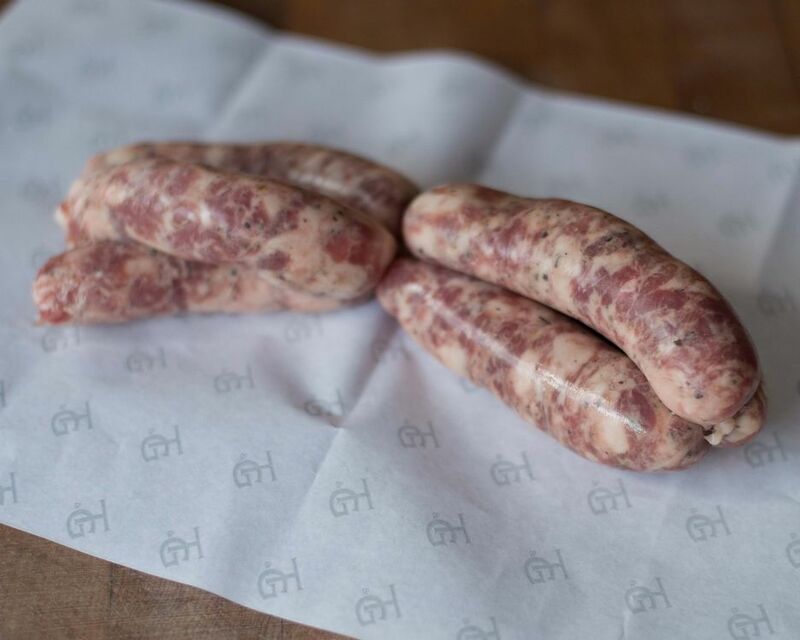 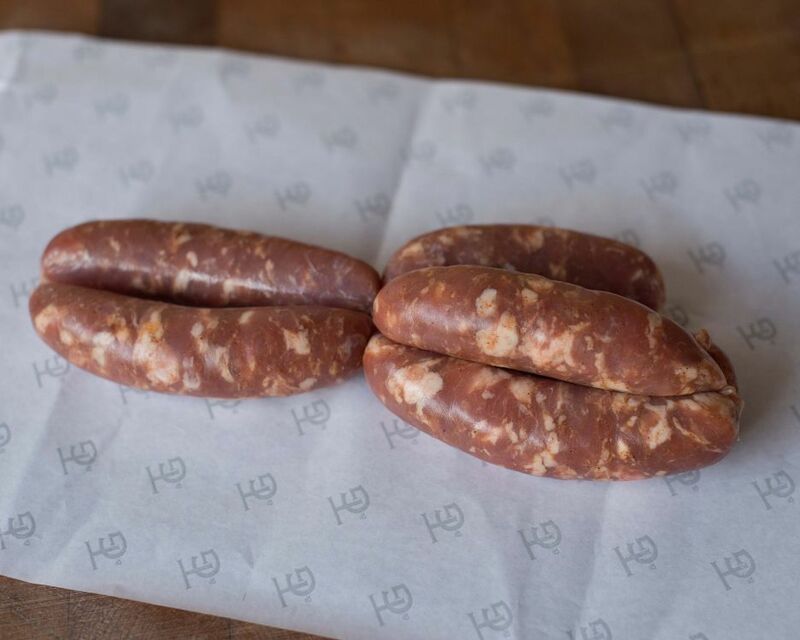 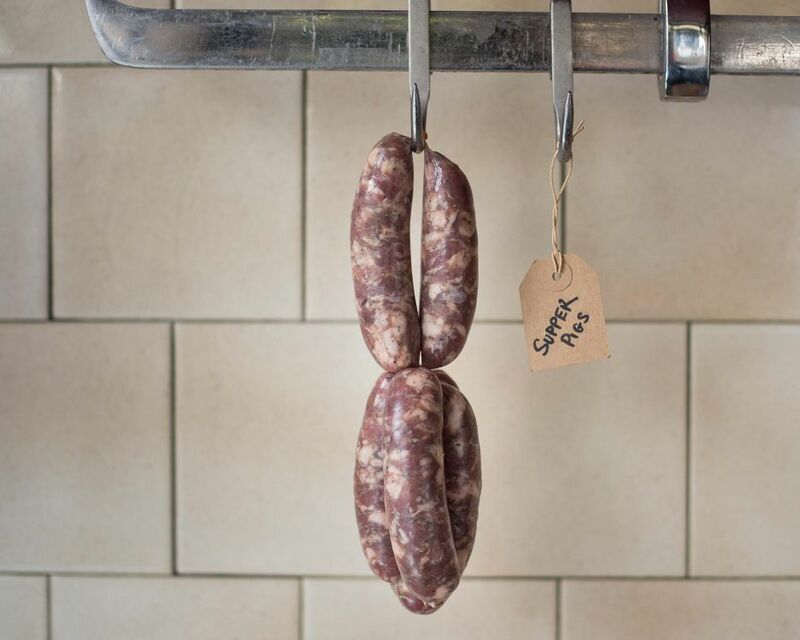 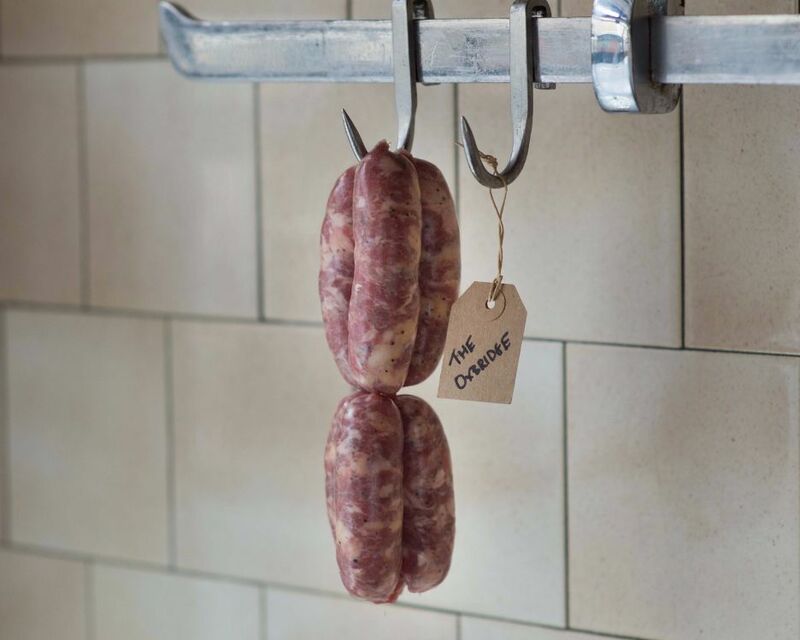 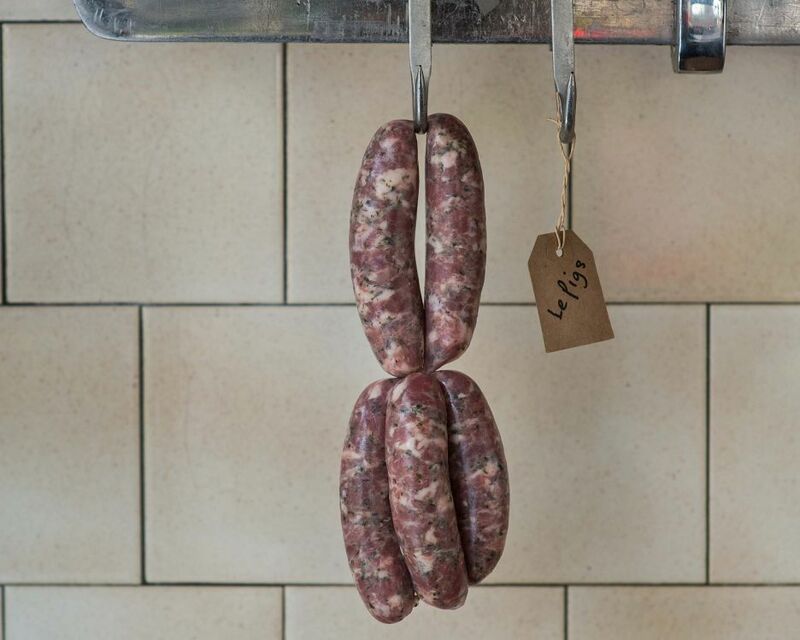 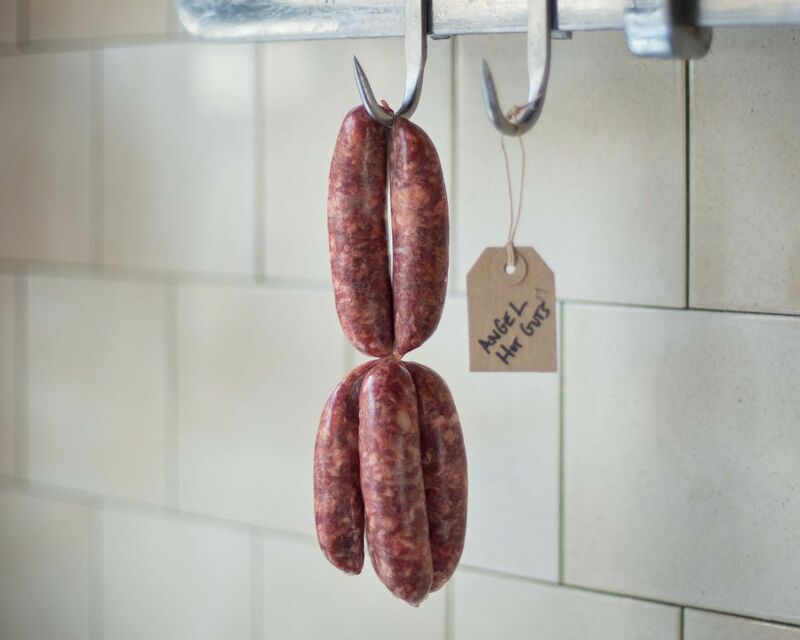 Our sausages are handmade on site to our own recipes using dry-aged beef and native-breed pork, piped into natural casings. 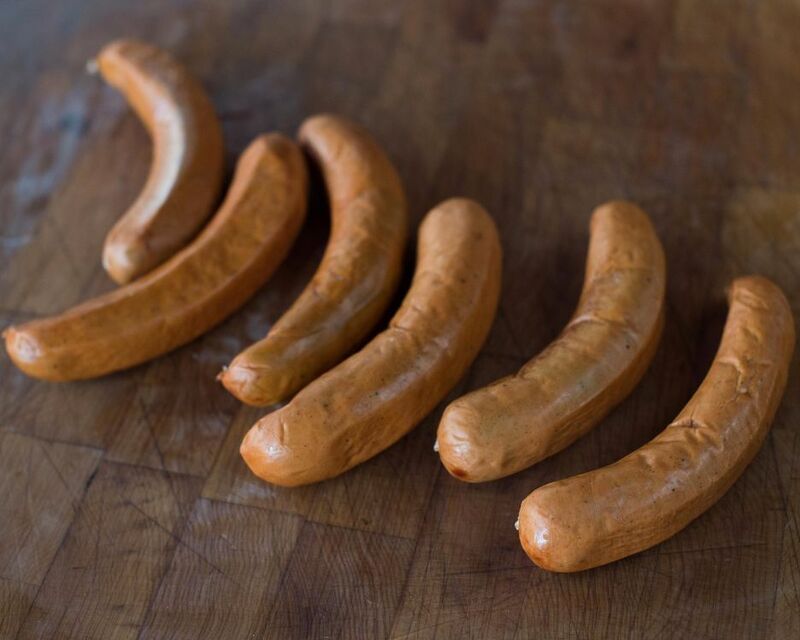 We use gluten-free breadcrumbs in the mix. 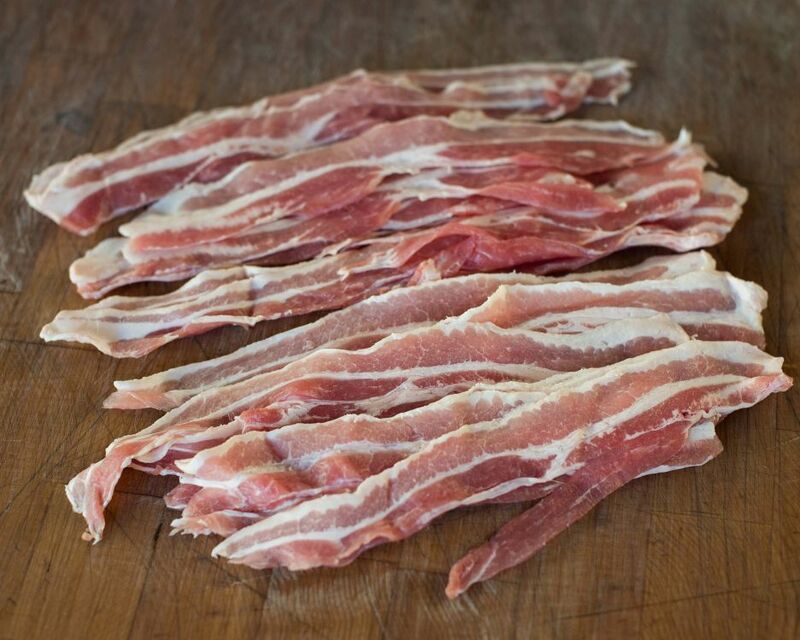 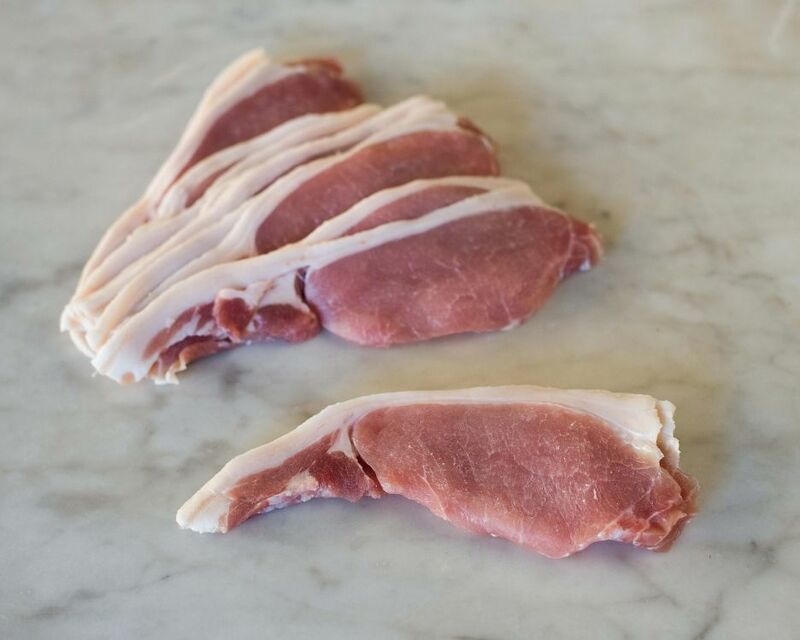 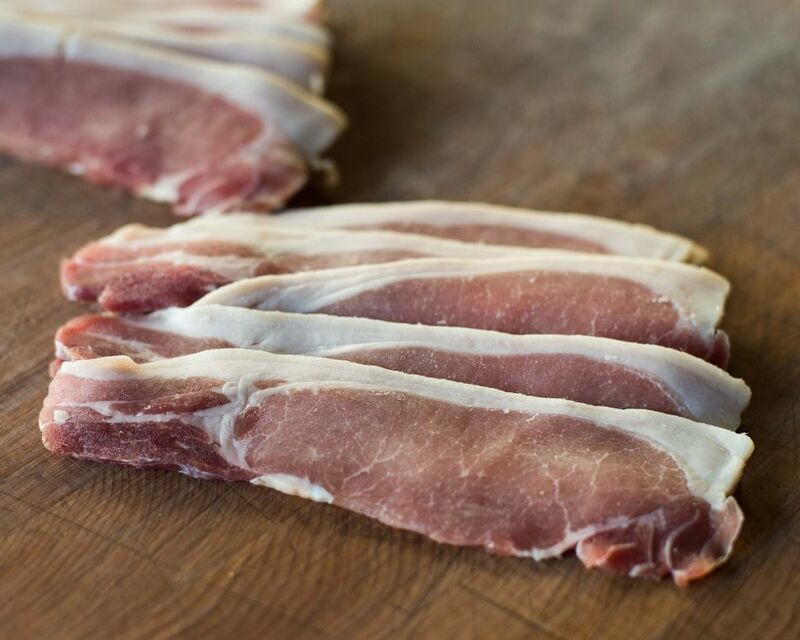 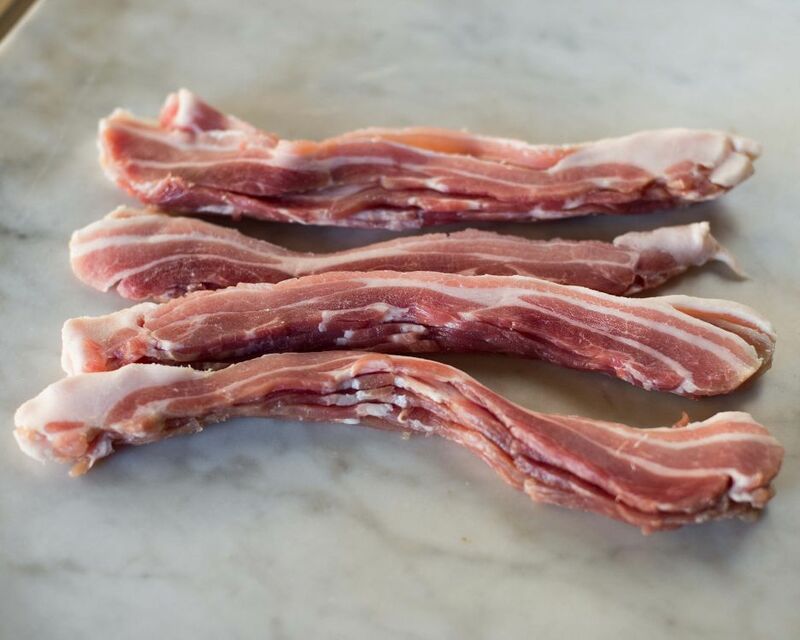 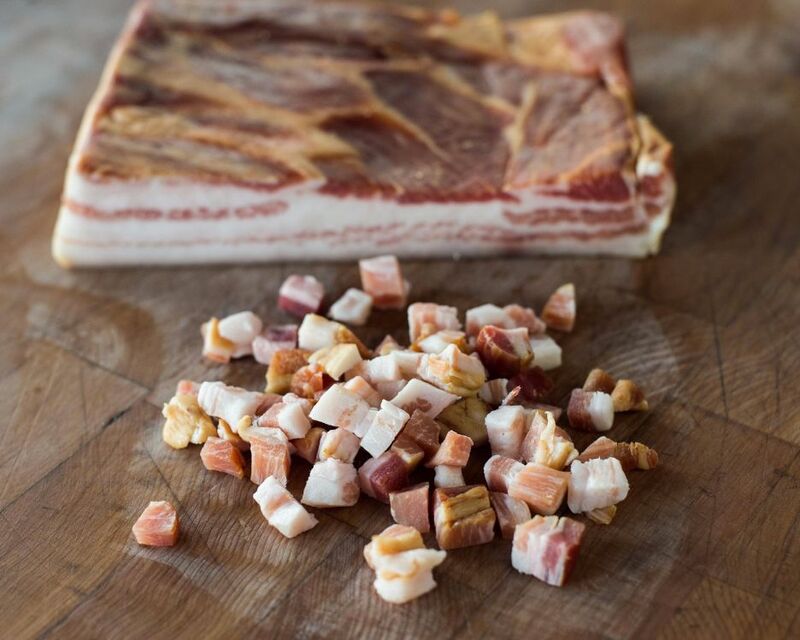 All of our bacon is from free-range, native breed pork, hand sliced on site.